To meet the precise demands of clients, we offer a wide range of Chocolate Sandstone. These are extensively demanded by various numbers of clients owing to its optimum quality, effective usage and scratch resistance. Exclusively designed our products acclaimed for their attractive appearance, reliability and easy maintenance. This chocolate sandstone is very popular in the buff to brownish; sometimes reddish, due to presence of iron oxides. Chocolate stone is especially useful for exterior cladding and is available in natural, sawn as well as polished surface finishes. Chocolate Sandstone is a sedimentary rock composed mainly of sand-size mineral or rock grains.Chocolate Sandstone comes in many colors but the most common are brown, gray, tan, yellow, red, and white. 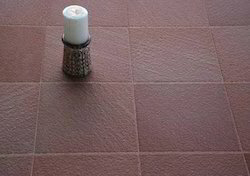 Chocolate Sandstone is weather resistant that makes sandstone a common building andpaving material. Known for manufacturing and supplying premium quality sandstones, our company is offering an extensive range of dholpur chocolate natural sandstone that is popular for its rich brown color and fine texture. 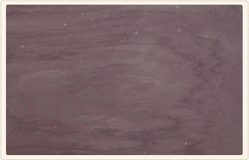 Chocolate Sandstone is very obtained in buff to brownish sometime reddish hue to present Iron oxides. Chocolate Sandstone is also used for exterior cladding and is available in natural, sawn, & polished surface finishes along with various value added finishes such as flamed, bush Hammerred, sandblasted surfaces.